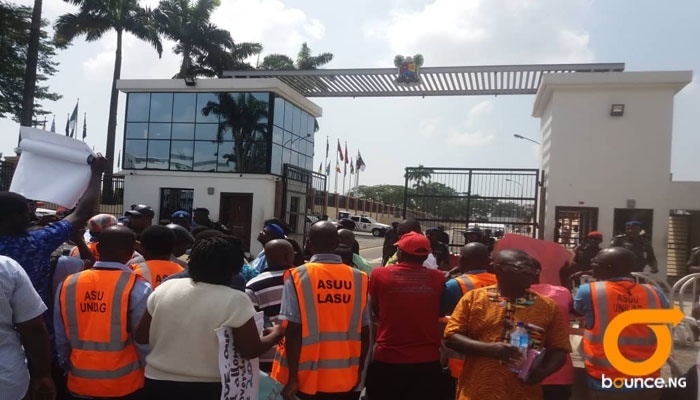 LASU' ASUU Accuse VC Fagbohun Of Mismanagement. 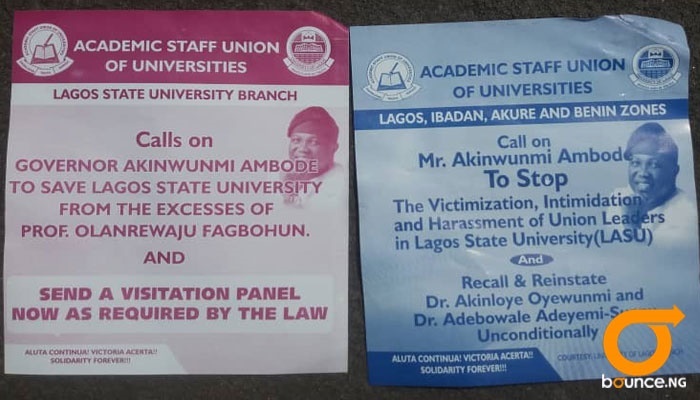 Members of the Academic Staff Union of Universities at the Lagos State University have staged a protest to Governor Akinwumi Ambode's office. 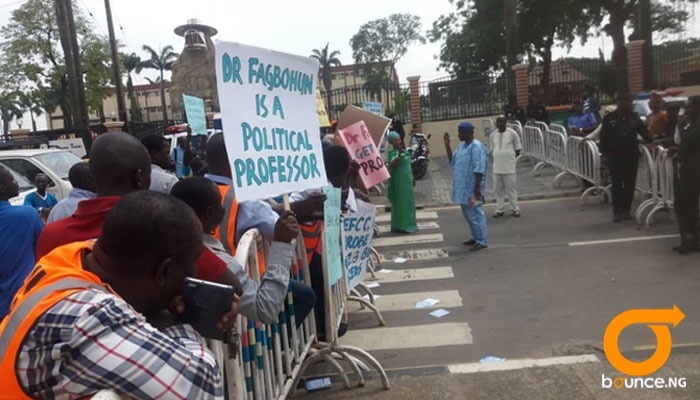 The protesters carrying placards are demanding a change in the institution's management team led by Dr. Olanrewaju Fagbohun. He has been accused of high-handedness and deliberately refusing to pay outstanding allowances owed to lecturers. 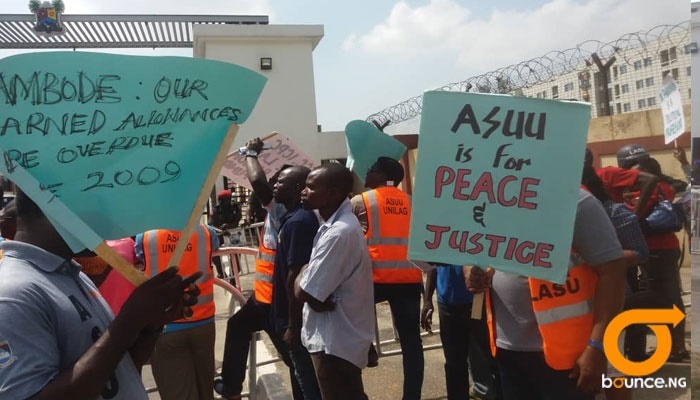 The protesters gathered at the office of the Governor in Alausa where they were met by some government officials and security operatives. 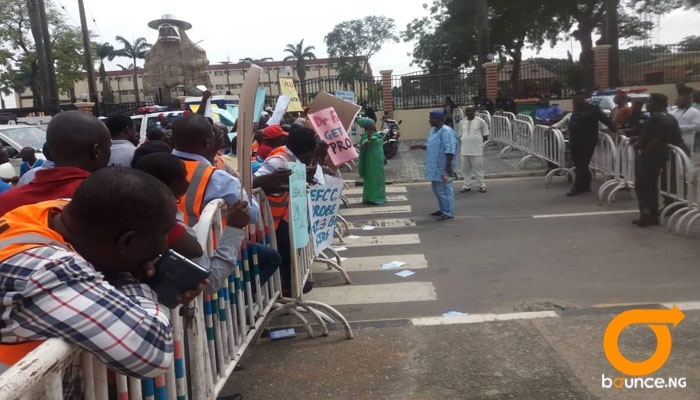 Bounce News correspondent at the scene, Israel Ojoko reports that the protesters claim they have been victimised, harassed and intimidated by the schools management team. 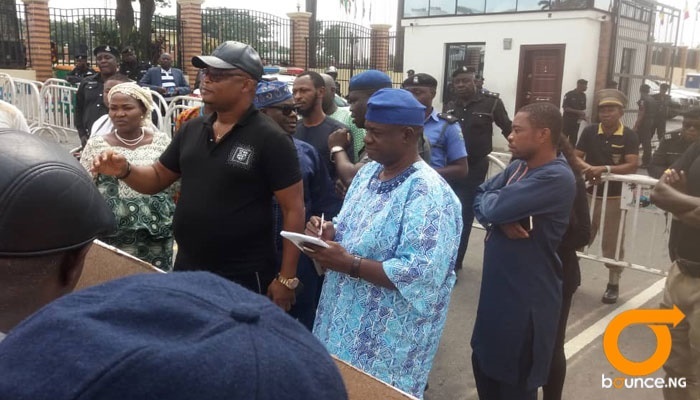 They are calling on Governor Ambode to intervene and set up a committee to as required by stipulated regulations.